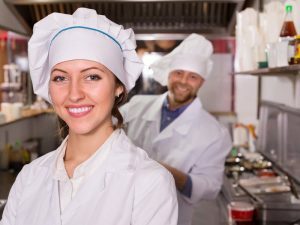 Restaurant Insurance Louisiana — Fast Quotes! 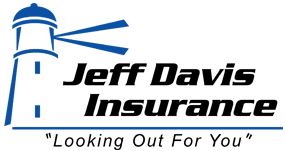 If you are seeking Restaurant Insurance in Louisiana then contact Jeff Davis Insurance today for a free quote. Give us a call toll free at 337-824-4455 before 4:30 PM CST or submit a request for quotes via our simple online quote form available 24 hours a day, 7 days a week. In previous articles we followed the story of Pete Ross, the well-to-do son of business magnates who always wanted to own his own restaurant. He convinced his parents to lend him the initial capital to start the business with the understanding that they would not be helping him financially anymore beyond this loan. The opening day of Squeaky Pete’s Pork Emporium is a big success, but was marred by the fact that shortly beforehand a power outage caused a near total loss of the restaurant’s food and ingredient stores. In last week’s entry, Pete called his insurance agent, Tracy, inquiring as to whether his restaurant policy would cover spoiled food. Unfortunately, Tracy informed him that his policy does not, in fact, cover spoilage. Spoilage must be covered by a special endorsement. Now that we’re all caught up, let’s see what happens next. Pete’s restaurant is doing alright in the weeks following its grand opening. Business is steady and it looks like there’s good potential for growth. One day, around lunch time, one of Pete’s employees drops a bottle of vegetable oil. The oil spills out all over the laminated floor near the entrance to the public restrooms. The employee shuffles into the kitchen to the storage closet to procure a wet floor sign and a mop bucket to clean up the mess. Before he returns, a customer exits one of the bathrooms and slips on the oil slick. The customer falls hard, causing a fracture in his hip and damage to his lower back. A quick 911 call brings an ambulance. While he is being carried out of the restaurant on a stretcher, he vows to sue the pants off of Squeaky Pete’s Pork Emporium for his injuries. Pete once again calls Tracy, his insurance agent. He explains the situation and asks whether his restaurant insurance will cover the customer’s injuries. What will Tracy tell Pete? Find out in our next entry. Restaurant Insurance Louisiana – Call us Toll-Free at 337-824-4455! If you would like to speak with a licensed agent about your current policy, a future policy, a free quote, or anything else related to your insurance then don’t hesitate to call 337-824-4455 right away! Our office hours are Monday through Friday 8:30 AM to 4:30 PM CST.